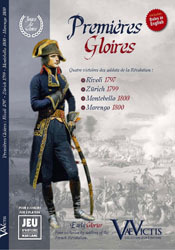 The Jours de Gloire series is dedicated to Napoleon's victories and to their 200th anniversary celebrations. 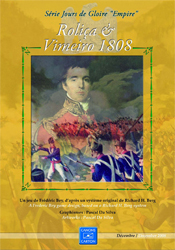 The original rules were the result of a close collaboration with Richard H. Berg in 1997 (Victory rules that became Glory! 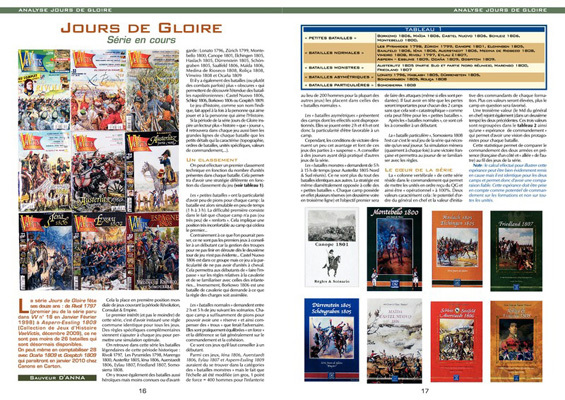 for ACW and Triumph & Glory for Napoleonic) and with Marc Bransdma (French adaptation). 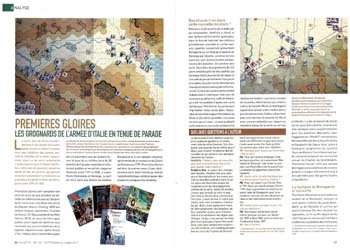 Jours de Gloire has now been living on its own for several years, capitalizing on the experience of more than 2500 games played in tournament during the yearly Trophée du Bicentenaire. 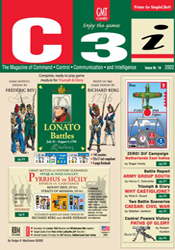 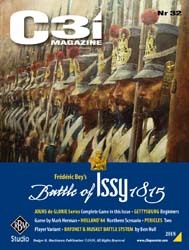 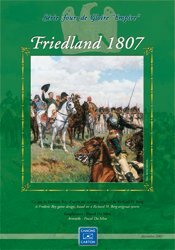 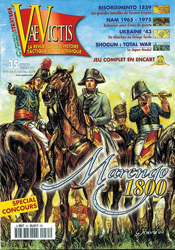 Marengo 1800, 4th game of the series, has been listed as 2000 CSR Awards Best Magazine-Published Boardgame Nominee. 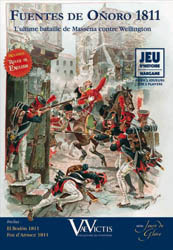 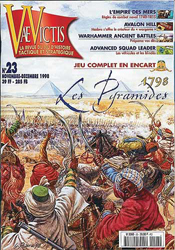 In 2001, Jours de Gloire Campagne rules were developed to cover another game scale (operational level). 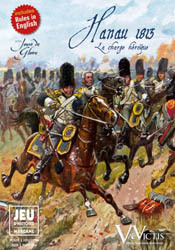 Rate the games of this series on Boardgamegeek! 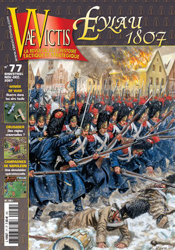 Review and analysis of Premieres Gloires (VaeVictis Wargame Collection) in Vae Victis #135 (August 2017). 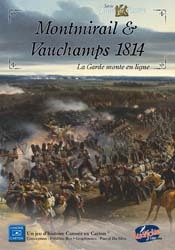 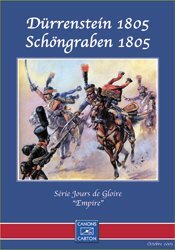 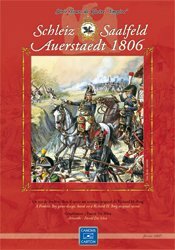 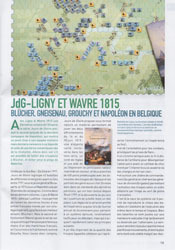 Review and analysis of Ligny and Wavre 1815 (Ludifolie Editions) in Vae Victis #132 (February 2017). 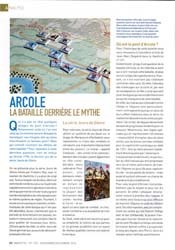 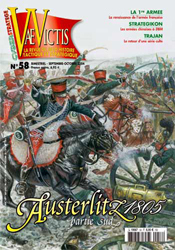 Review and analysis of Arcole 1796 (VaeVictis Wargame Collection) in Vae Victis #130 (October 2016). 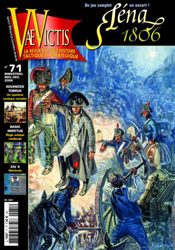 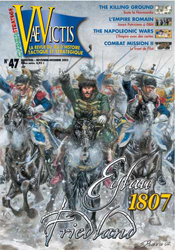 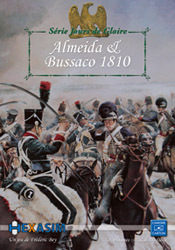 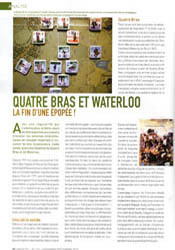 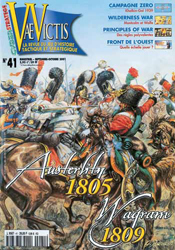 Review and analysis of Les Quatre-Bras and Waterloo 1815 (Ludifolie Editions) in Vae Victis #124 (October 2015). 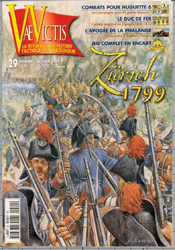 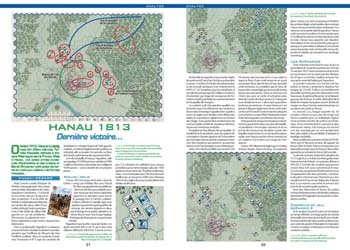 Review and analysis of Hanau 1813 (VaeVictis Wargame Collection) in Vae Victis #119 (October 2014). 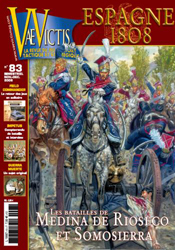 Analysis of The Berezina 1812 (Canons en Carton & Ludifolie Editions) in Vae Victis #112 (October 2013). 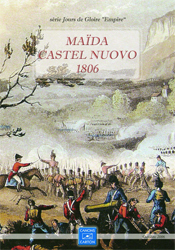 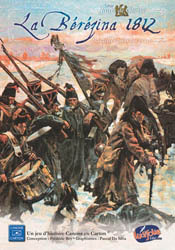 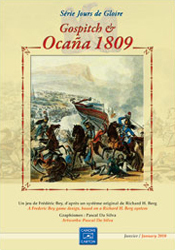 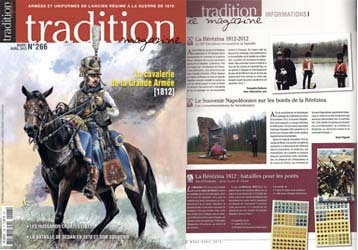 Review of The Berezina 1812 (Canons en Carton & Ludifolie Editions) in Tradition Magazine #266 (October 2012). 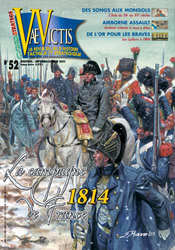 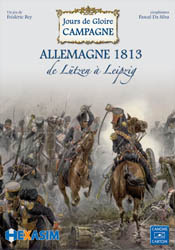 Complete analysis of Jours de Gloire Gampagne: Germany 1813 in Vae Victis #100 (September 2011). 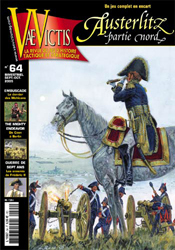 Complete analysis of the Jours de Gloire series in Vae Victis Special Issue #12 (December 2009). 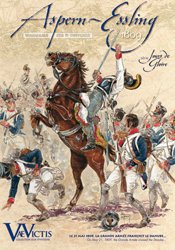 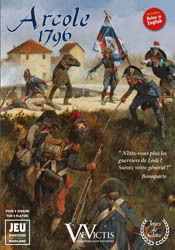 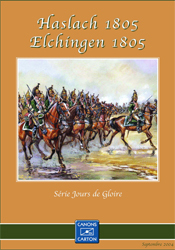 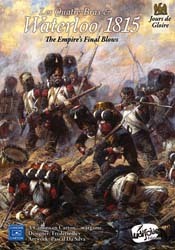 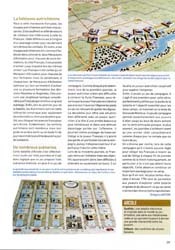 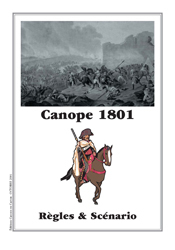 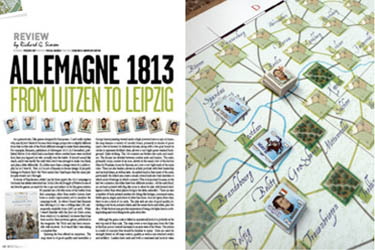 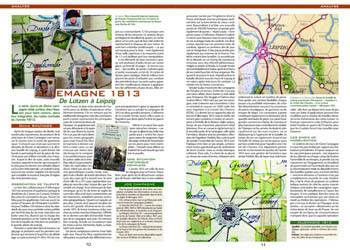 Analysis of Jours de Gloire Gampagne: Germany 1813 in Battles Magazine #7 (December 2011). 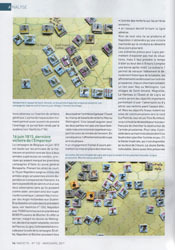 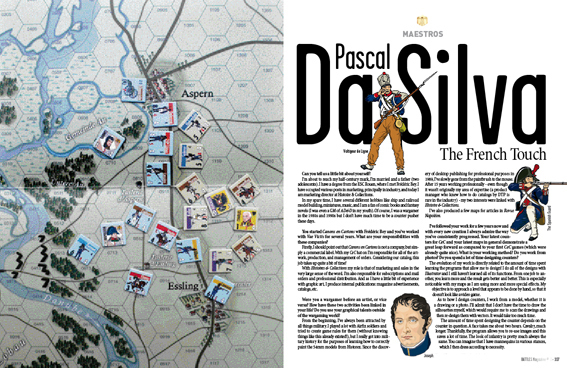 Interview of Pascal Da Silva, Jours de Gloire series art designer, in Battles Magazine #3 (January 2010). 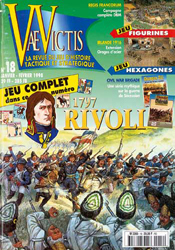 "Posse quod velit. 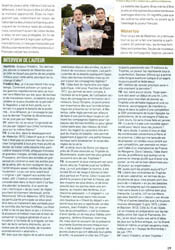 Velle quod oportet." 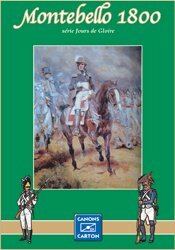 To be able to do what you desire, desire what is fitting.